We are super excited to announce that Mitchells & Butlers will be using Collins for their small table reservations and large enquiries; replacing Bookatable and Zonal Liveres. After a successful trial whereby the number of enquiries in from their websites, went up, and their confirmed covers, also went up, they have decided to start our new partnership with Castle, All Bar One, Nicholson's and Brown's brands. "Using Collins has completely streamlined our entire reservations process for group bookings and large events. Working across a collection of venues, the enquiry management system has helped our team of event managers work more efficiently and cohesively in managing and converting enquiries. Features such as the card authentication system, pre-orders emails, and the run sheet generator have massively helped in time spent on administrative tasks, and the reports system has been instrumental in setting and tracking targets for the team." We have had many requests over the years for an overview of in-progress enquiries and confirmed bookings in a diary format; with lots of granular detail too. We challenged ourselves to create a format that gives you flexibility over a week and month view, across all your zones/spaces, for confirmed and in progress bookings, looking at covers/bookings/value and bringing in the analytics/actions of your different booking tags. - How many in progress enquiries do I have open across my private zones next week? - What is the value of all my open enquiries in December? Which days have a lot that I need to try and close? - How many enquiries do I have open this month that are awaiting a deposit? And what value are all these open enquiries to me? - Do any of my private rooms have a hold on them on the w/c 10th December that I need to chase? - How many open party enquiries do I have this month, for dinner service? And what are the bookings? Taking all this into consideration we have created the Bookings Overview Calendar, which is a data beast, crunching all your numbers for you and presenting them in a legible, flexible and actionable format! 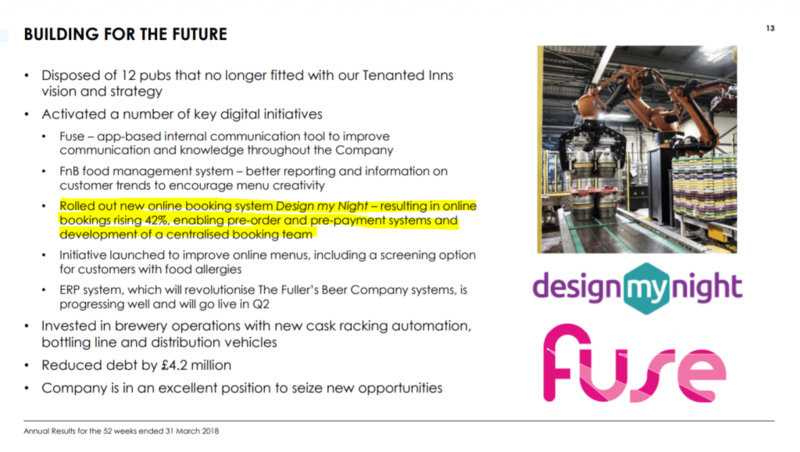 We are delighted to see Collins/DesignMyNight get a shout out in Fullers' official annual report; accounting for a huge 42% increase in online reservations. After a full tender process against all other reservation suppliers, we are delighted to welcome Davy's 26 wine bars and restaurants to our Collins family. They are taking advantage of our real-time booking functionalities, enquiry management for private dining and groups, pre-ordering, reservation e-mail organisation and our payments platform, with our free integration into their Zonal Epos, for a seamless ecosystem of data. We are working on a brand new Customer Success Portal for all customers, which we hope to launch soon. The exciting benefits are listed below. However, it is extremely important that you get yourself and everyone in your team that uses Collins, to pre-register HERE. [Click - Not a member]. • A new personal Support Case Dashboard for an at a glance view of all your support cases, raised. • Improved Case summary information and ways for you to escalate, close or re-open your own cases. • The ability to quickly export your support case(s) information to Excel. 2. New Community site to work with your peers...ask questions to the Collins community (How-To/Best Practice); help each other and answer each other's questions. We have so many passionate and knowledgeable users of Collins we really want to create one large community where we can all help each other to excel. 3. Powerful and searchable Knowledge Base with common answers and how-to’s - lets you find and rate the best answers quickly and easily. 4. For those of you that have more than one Access Hospitality product (our new family), then you will get access to Customer Success for all your products within the one help centre, with visibility for all our Success Teams of the cases you have raised across the multiple products. Popular restaurant, Circus, in Covent Garden, moved over to Collins for table reservations and enquiry management in April 2017. With Collins they were able to do auto-confirm bookings + taking payment for their restaurant shows, at the point of booking. They also took advantage of our enquiry management suite for all their groups/parties/xmas bookings, paired with our online deposit and pre-order tool. Having Collins this year for our Christmas bookings – was HUGELY helpful. Having all the correspondence and payments in one place made things so smooth and easy: The follow up calendar, the labelling as well as the reminder emails made the whole process so efficient. I’m really happy with how things have been working with Collins. I’m telling everyone to change over to you guys! The fabulous Balans Soho Society group joined Collins in August 2017 with their 6 restaurant, cafe, bar concepts. They use Collins to manage all their enquiries of 7 people or more and take advanatge of our enquiry management suite, pre-ordering, email inbox, online deposits and more. Working with the team from DesignMyNight/Collins has been nothing but a joy. The training and careful guidance they offer has made the integration of their system incredibly simple and efficient. Collins has helped transform us from a company that basically relied on one person writing down bookings in a big dusty book with a quill and ink to a streamlined, effective organisation over which everyone has oversight. Bookings for Xmas 2017 quadrupled. We could not be happier! “After over 10 years in Hospitality and Event Management I can categorically say that Collins is the best system I have ever used. We implemented Collins across 16 venues and as a head of department with many balls to juggle I instantly felt more in control with Collins as I had a clear picture of my venues peaks and troughs as well as my team’s pipeline, performance and efficiency. Simple to use yet still detail-oriented. The customer service from the team is second to none, they are endlessly friendly, patient and accommodating. They are always willing to listen and implement suggestions for improvement and provide bespoke solutions to the individual needs of a business. This is a system that can grow with a business. The functionality of the pre-order system and payment integration are nothing less than life-changing for busy venues (especially larger groups) and are indispensable for busy periods such as Christmas. I highly recommend any hospitality business who are looking to review their system to consider Collins. Polpo's delectable group of Venetian restaurants joined Collins in June 2017 to formalise their group enquiries, private hires and Xmas booking processes. They used us alongside another booking system that managed their smaller bookings. 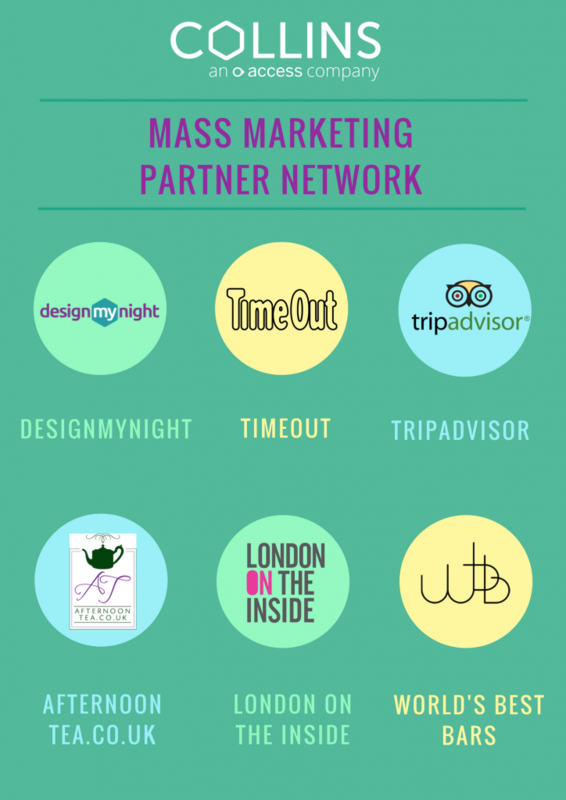 DesignMyNight (including Collins and Tonic products) have been acquired by the Access Group. This is great news because Access is an exciting UK-focused software company with a customer-centric, entrepreneurial culture and a strong track record of developing great products; all in the same vein as us here at DesignMyNight. You might recognise a few of Access’ other Hospitality products such as Intelligent Business Systems and SelimaHR. 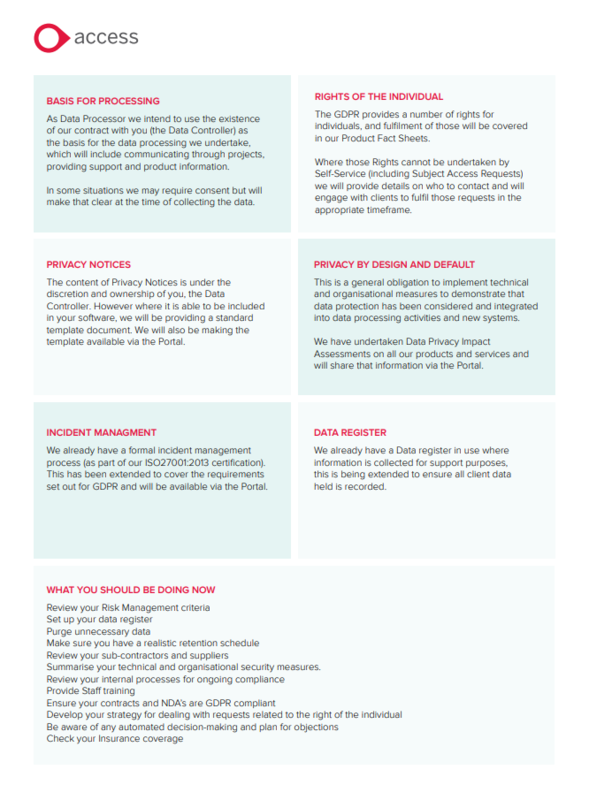 We are confident you will be in good hands with Access and us. We (the founders) and the whole DesignMyNight team are really excited to be staying with the business for this next phase of the company's growth; to build on what we have already created and making the most of being part of the Access Group and its considerable resources to kick onto the next level and create the best reservations system and ticketing product on the market. Exciting times ahead! 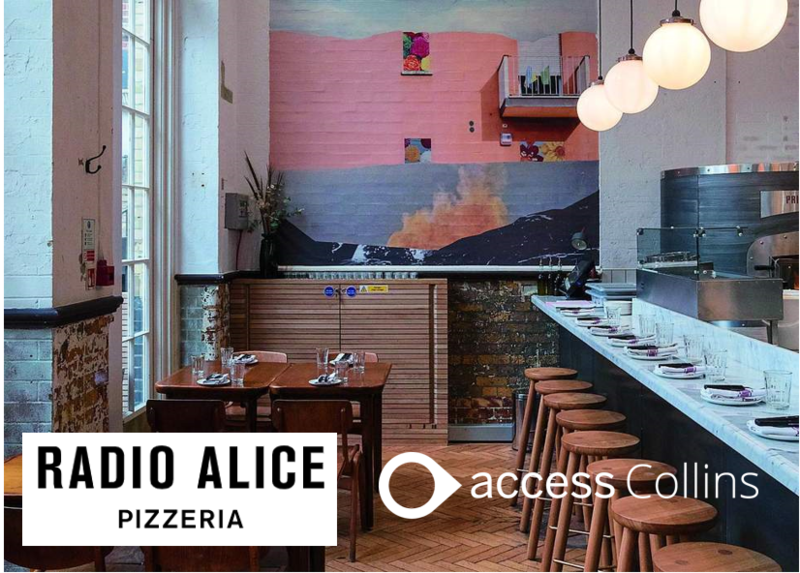 We are all very excited about this news and the Collins Team looks forward to continuing our relationship with you for many years to come, as part of Access. Mitchells & Butler join the Collins family! We are delighted to welcome one of the UKs most established brands, Mitchells & Butler, to the Collins family. After a very successful 6 month trial which saw group bookings and private hire enquiries increase noticeably as well as the conversion rate of these enquiries, Collins will be supporting their national sales team to manage all enquiries, group bookings, private dining and private hire enquiries across some of their major brands, including, All Bar One, O'Neills, Castle Pubs, Nicholsons and Browns. Our online pre-ordering system, Collins Pre-Order, live now for over 15 months, has put through over 1 million pre-order items; making every single end customer's experience of pre-ordering a hell of a lot nicer - pre-order online and pay online (even on their mobile). And for you, our lovely clients? 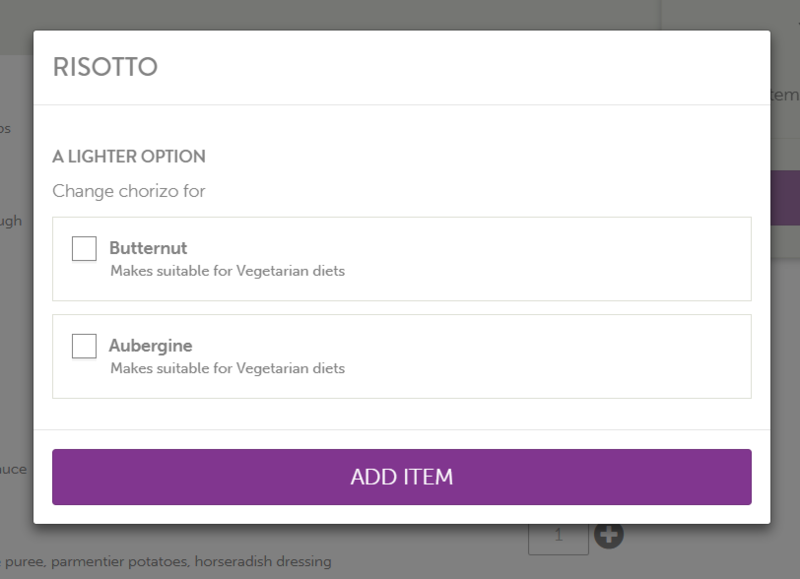 You can now manage everything with one online link, print kitchen sheets, function sheets and even your place cards - all with the click of one button. With the recent surge in allergen requests from end customers, we wanted to update Collins Pre-Order to help you organise yourselves and enable a smooth, hassle-free pre-ordering journey for your customers with allergies. Make choices available at the point of ordering. EG. 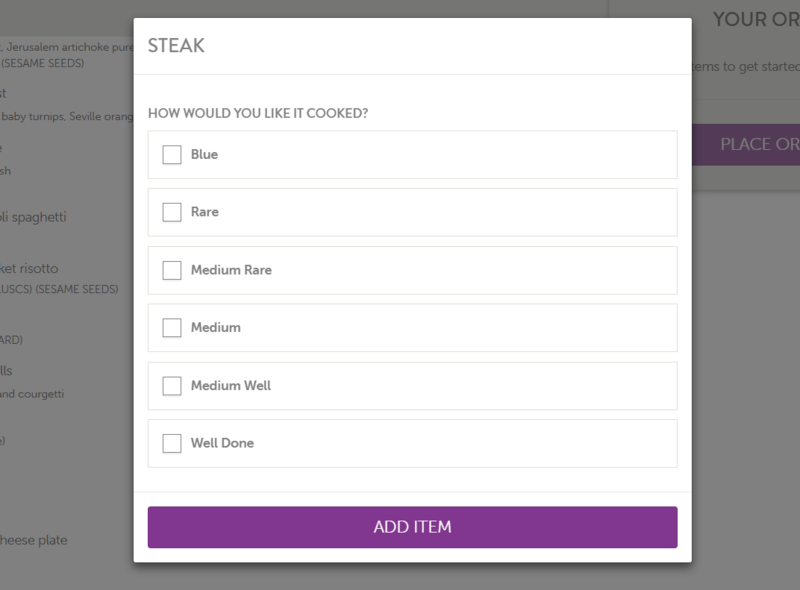 How do you want your steak cooked? What bun do you want with your burger? Life just got a lot easier for you and your customers! The latest update for pre-ordering through Collins has had a massive impact on how our guests pre-order and how the reservationists use the system. 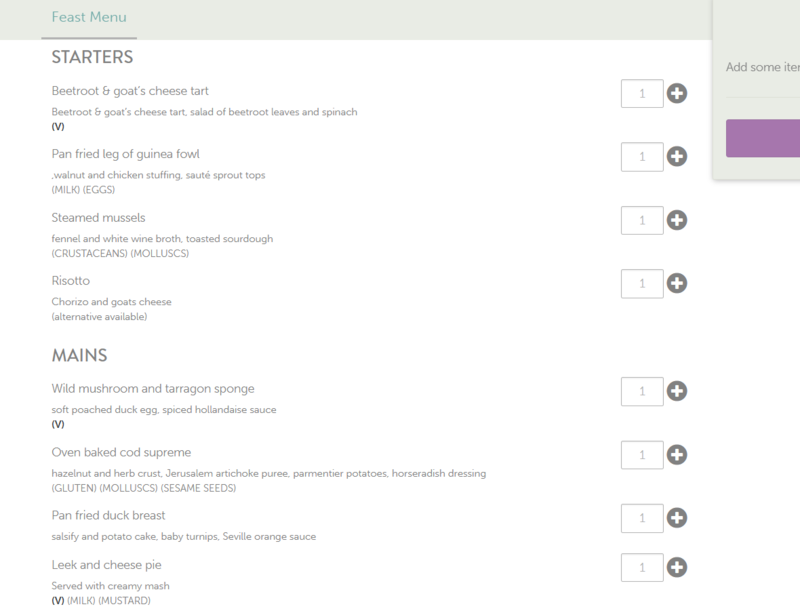 The new option to customise items and add allergens to food items has made the process of pre-ordering for the guest much quicker as they no longer have to call and ask if we can amend items or ask which items are suitable for their dietary requirements, as it’s very clear from the get go. Anything that makes guest lives and our lives easier is a clear winner! Need a refresher? Collins Training Webinars are here to help! Webinars are perfect for recaps on certain functionalities within Collins or new staff joining your team. Our Webinars are split into different aspects of Collins and range from 10 mins to 40 mins. Easily digestible and you don't have to block out a whole morning to refresh your knowledge. The registration page can be found here and lists all of our webinars, with how long they are expected to be. Hush Brasserie joined Collins in January 2017. They are using Collins solely for their enquiries, large groups, Xmas and private dining. The sun may have been beating down but we have been sweating our little backsides off signing up some great new clients, over here at Collins HQ. Also last month we have agreed a deal with Draft House to move over to Collins. These multi-functional venues offering food, drinks and party bookings saw that Collins was the only solution on the market to offer them all the functionality they needed. Our romp into the casual dining world also continues with Ben's Canteen, Benugo, Inamo, Circus, Disappearing Dining Club, Mint Leaf and Big Easy all joining the Collins family. We're off to get a quick Gin & Tonic ice pop...then back to work! Rosa's is a Thai café first born in the East and raised in the East End. From a humble street stall in Brick Lane, to restaurants across London, we offer honest helpings of Thai food with a modern twist, courtesy of British husband and Thai wife team, Alex and Saiphin Moore. We met the Collins team a few months back, when we had 7 restaurants and were entering a year of exciting growth. We used to work with a more traditional table management system that was able to manage our table bookings but only to a pretty restricted level. The reason for bringing in Collins was to have a much more flexible booking process across our different sites, on different days, between certain times. As well as this we wanted to encourage group enquiries and tighten the efficiency of our group booking process in terms of customer communication, pre-ordering and deposits. After just 3 months with Collins we have noticed a remarkable improvement across all aspects. The sheer volume of bookings and enquiries in from our own website/marketing has dramatically improved, instantly giving us a clear ROI for the system. As well as this, the online pre-ordering system and online deposit system made us so much more efficient internally and a much-improved customer journey when booking with us. Win, win. The smart and easy enquiry management centre has also allowed us to convert more of our enquiries in, and give us greater visibility across the business. Just a few months into Collins we hit Christmas and it was an absolute game changer for us. More bookings in, increased conversion and better customer experience! We also love the Collins' approach to working with our business both from a marketing point of view but also their open mentality to integrating with other parts of our business such as EPOS and CRM. Being able to work with Collins on a "one ecosystem" strategy placing the data we collect in Collins at the centre of that, has not only been so refreshing but also fundamentally important as we look to grow this year. Brewhouse & Kitchen are a group of 17 national venues that offer all day dining, drinking and beer experiences. We started working with them when they had 3 sites and just 15 months later they stand at 17, with more in the pipeline. They describe their experience as: "Whether you are popping in to sample our latest seasonal brew, a quick after work glass of wine or G&T, having dinner with friends, or learning how to brew beer on our legendary Brewery ‘Experience Days’, we want you to have a great experience, and to come back again and again." 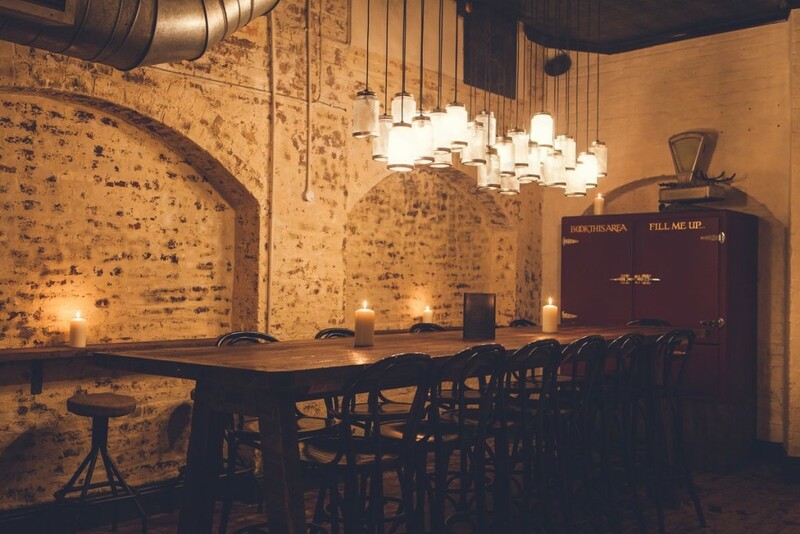 All at Brewhouse & Kitchen have been impressed with the usability of Collins; focusing on delivery of all enquiries to confirmed booking, is paramount. During the Christmas period our LFL sales grew by 14.77% in large part to our use of Collins. The transparency of each booking allows remote understanding of performance and improvement required. This is the third booking system we have used and by far the most flexible and focused on delivery of ease to the guest visiting the Pub or Restaurant. We have seen the value of Collins and continue to drive sales via the facilities it provides, including, Collins Pre Orders, Collins Pay and Deposits, Table planning, enquiry reminders & loads more! I would recommend you seriously take a look at what Collins can do for your business. "Wahaca has historically been a restaurant which thrived on a largely walk-in only policy. Introducing some bookings across the group due to demand as we moved outside of London was a big step, and after taking it tentatively and trying different booking systems, we’ve rolled out Collins across all branches. The flexibility that Collins allows through its enquiry management features were key to getting buy-in internally and maximising trade, allowing our GMs to maintain some control and discretion for larger group bookings which can have such an impact on a service, whilst concurrently catering for smaller group bookings ticking along in the background and receiving instant confirmation at the times that suit the business. 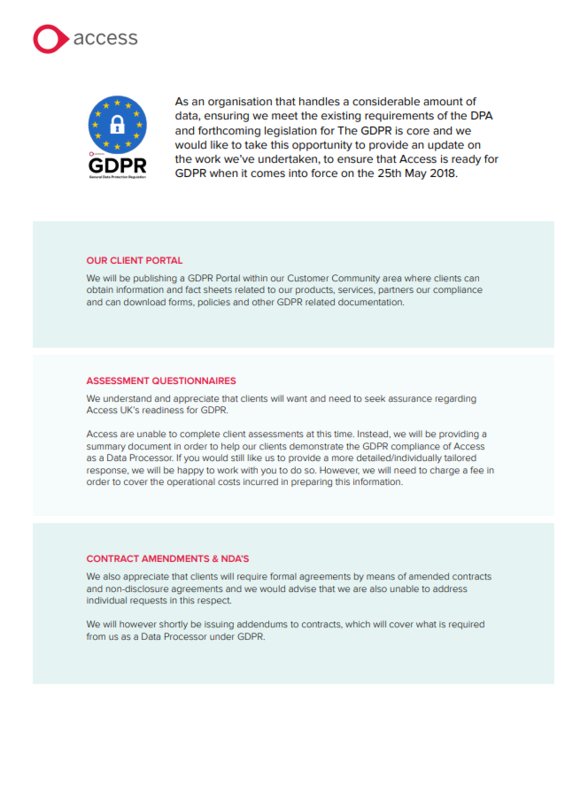 Taking bookings out of overloaded site email inboxes and calendars and into one system has also allowed for previously inaccessible reporting, visibility and accountability across the group which was previously locked into each site’s Outlook. The pre-order and card authentication features have really helped us over Christmas, and of course taking reservations has helped us grow our local email databases for each site. The team at Collins are incredibly quick to support us when we have questions or needs – big or small – and are always open to taking on our feedback for fixes and improvements, making the system feel like an ongoing collaborative effort from them and all their clients to make the it the best it can be. The granular degree to which you can adapt the system to work in a bespoke way for your business is far beyond what we’ve have seen any other systems offer, from the appearance of the booking widget on our website, to the hour by hour online booking availability of certain tables on certain days in certain scenarios, to the wording of your own marketing opt-in message." Be At One enjoy bumper Xmas! The popular cocktail and party bar chain, Be At One, who operate over 30 bars across the country joined Collins in June 2016. The main aim was to help improve the customer booking experience, implement some booking automation to give live availability and increase conversions of their enquiries. The real test was to come over their busy Xmas period when 10'000s of enquiries come in across all their sites. The noises have always been positive both from a customer feedback element and the bookings and sales teams but did this really have an affect on the bottom line? "The use of Collins has definitely helped improve our overall guest experience, eliminating complaints and generating a higher increase in conversion of pre-booked and pre-paid revenue. We especially saw this during the Christmas period, with an overall increase of 56% in pre-booked guests compared to last year, which I believe Collins hugely contributed towards achieving . We are thrilled!" 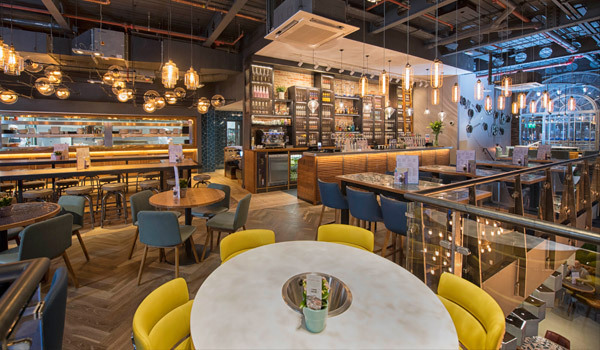 Due to Collins' array of features such as enquiry management, pre-ordering, deposits/payments, function sheets and more, Collins has become a hit in the casual dining world as these types of restaurants need more than just auto-confirm/floorplan technology. We are delighted to have recently added Rosa's Thai Cafes to the Collins family. This group of 8 Thai restaurants in busy London hubs have expanded quickly - born in the East and raised in the East End they celebrate their homeland and home by serving punchy Thai food with ingredients sourced as locally as possible. Collins is also the reservations platform of choice for the new Ping Pong site in Covent Garden. Ping Pong have the requirements of a normal restaurant but also wanted to manage their dim sum and cocktail masterclasses as well as party and xmas enquiries. Collins provided them with one solution to manage everything in one portal. 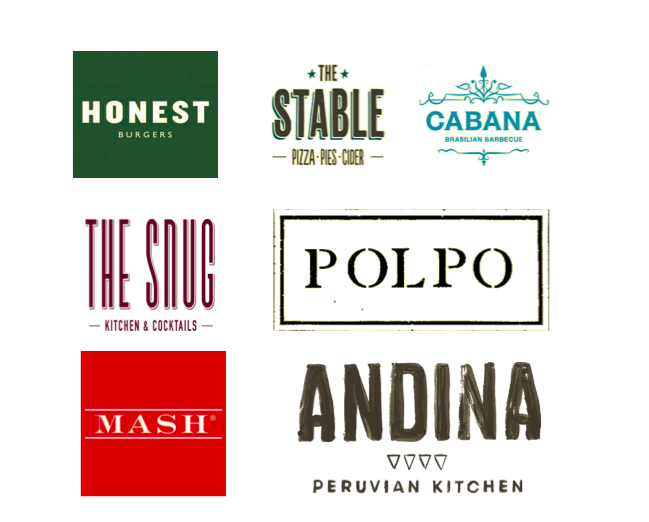 We are super excited to start working with this exciting and established restaurant chain. "Being able to view and manage the bookings for all our restaurants through one system has allowed us to work more efficiently at all levels within the business, whether it’s taking the booking or initial enquiry at site or reporting and forecasting across multiple venues at once. The functionality of Collins Pay and Pre-Order makes dealing with bookings of all types seamless and allows both our teams and customers to manage these requests at a time that is convenient for them. The Collins Team are always receptive to new development suggestions with the system evolving and improving every month and it has been great to see some of the suggestions from our managers be implemented and improving the user experience." conversion rates and improving their customer flow from enquiry in, to deposit, to confirmed booking. Faye Catchpole, Sales Manager UK, stated that "pre-booked business equates to 45% of overall sales, climbing up to 61% around December and Collins has been a fundamental reason why we continue to grow, continue to increase pre-booked business and improve our customer journey." Brewhouse Bar & Kitchen, a casual dining pub/bar/restaurant concept had 2 venues when they signed with Collins 15 months ago. They have seen incredible growth now at 15 sites across the UK. Collins was brought in to improve their real-time table capabilities and improve their group and party business including pre-ordering and deposits. We have looked at a complete "global" view with Brewhouse, working with their team on a full "booking policy plan" which will be implemented across the group in the coming months. We are excited to continue being part of their rapid growth. We are utterly thrilled to welcome one of the largest bar groups and pub groups, Be At One and Young's to the Collins family. 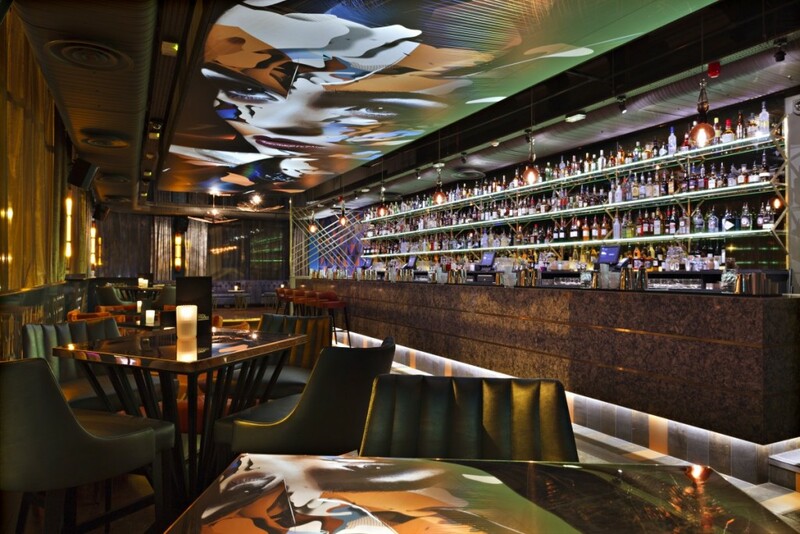 Be At One operated over 30 party bars across the UK with a rapid expansion rate. They operated their venues using an in-built CMS enquiry tool but soon saw that they needed to move to a more comprehensive system to improve their customer journey as well as their own efficiency, operating processes and conversion rates. The Collins Team input an 8 week plan to roll out and train all venues as well as working with the Be At One team to put in processes such as mid-week auto-confirm bookings and deposits/card authentications using Collins Pay to revolutionise their operations. Digital Marketing Manager, Giles, said; "We are thrilled to move over to Collins. I've long admired their system and the internal feedback from our sales and reservations team has been immediately positive. We are sure conversions are going to soar and we are excited to constantly look at ways to improve our customer journey from landing on our site to showing up on the night; we know Collins is our perfect partner for this." 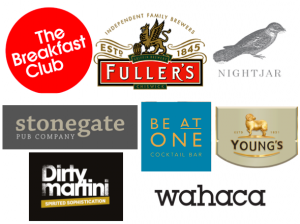 Young's are one of the largest and most respected pub operators in the UK. Having used a more conventional restaurant booking system for a number of years, the Young's marketing and operations teams knew that Collins was a solution to cater for their whole business. Groups, private hires and more casual bookings are an important area of growth for the company and they wanted a system to help pull everything together into one central system. The Collins team implemented a 5 months training and set up schedule to roll out to their 150+ pubs across the UK. The feedback from the pub GMs has been overwhelmingly positive since launch and we are excited to continue to work closely with the Young's team on improving their processes and their digital booking journey for their customers. We love all feedback...but especially this! "I had never used Collins before when I joined, but it was very quick to learn, very straight forward and has everything you need. It’s very easy to manage bookings, the email feature is very good for quick communication with clients, the pre-orders and payments are great and the possibility to pull a report/function sheet for every single booking/event makes it very easy to communicate with the ops team and deliver the event smoothly. The ticketing feature is also amazing! Very detailed and easy to use plus the event will appear on the DesignMyNight website, which has a lot of viewers and gives it great exposure helping with ticket sales. We did a New Year's Eve event at our Farringdon bar, Barsmith last year; we only uploaded it 2 weeks before and thought we were quite late but we sold out...all thanks to the traffic from DesignMyNight. 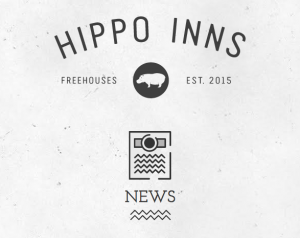 I also really like that it’s in constant development – new features and improvements are being added constantly"
After much talk and speculation, the founders of the hugely successful Geronimo Inns pub group, Rupert and Jo Clevely, have embarked on a new venture; Hippo Inns. In their words, "At Hippo Inns we believe and want to ensure, that our pubs are the best and one of a kind within the neighbourhood. We want our pubs to be the hub of the local community, a home away from home for our locals where food, drink and service are always exceptional." A few weeks after crossing the 600 client mark, we are delighted to now be over 650; with news of the Collins revolution spreading across the UK. We are super pleased to welcome The Jam Tree Group to the Collins family. The Jam Tree Group operate two Jam Tree venues in Chelsea and Clapham, as well as a new party restaurant, Fu Manchu, in Clapham. March also saw successful trials leading to roll outs at the ever-popular Riley's Sports bars and the multi-faceted Barworks Group. We had been trialling Collins in two of Riley's busiest sites for a few months and positive results have led to a roll out to their other UK sites. We have been working with the cocktail bars 5CC, part of Barworks for 12 months. The rest of the group that includes party bars, pubs and casual dining sites are now coming onto Collins too. Finally we welcome Yummy Pub Company to the Collins family; A fantastic group of 6 boutique, London pubs. Formerly on a traditional restaurant software, they saw the addition of our enquiry management, pre-ordering system and payment system the step up they need to manage the complete flow of bookings and enquiries into their pubs. We look forward to being part of their growth! We are delighted to cross the 600 mark; just a few years after launch! Below are some our wonderful clients. We cater for some of the largest national groups as well as the best independents...no client too big or too small for us. 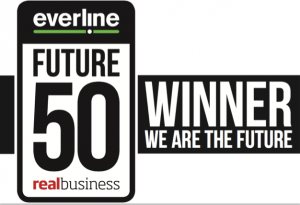 The DesignMyNight and Collins team were delighted to be voted one of the Top 50 disruptive companies in the UK. The award was given by RealBusiness and represents the "companies we believe are going to drastically change the way complacent industries operate". The judges were really enthused about Collins and how we have completely changed the bar/restaurant/pub booking arena in the UK. The Collins team are delighted to announce the launch of Collins Pay and Collins Pre-Orders. Take a payment or card authenticate at the point of booking - Improve the customer journey and massively increase your efficiency by auto-confirming bookings while also taking a payment or deposit at the point of booking. Why not even run your special nights/occasions using this too? New Year's Eve take the payment of £50 per person at the point of booking.